Driving a bike is always a pleasure for most of us. Driving a dirt bike in a sandy track is very different from driving an ordinary bike. This is an interesting and a physically challenging sport. There are many things which you need to learn and practice before you tend to drive a dirt bike. If you are new to it, it is recommended that you start with the help of an instructor. 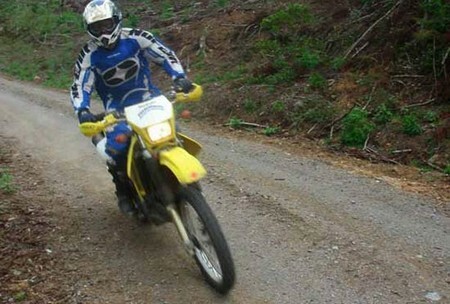 There are many types of dirt bikes, some have only one gear, some with automatic transmission and some with manual transmission of gear systems the later being the difficult of the most. It would be extremely difficult to drive a dirt bike with ordinary gear transmission in the tough tracks; practice is the way to cope up with it. Before starting up with the dirt bike, make yourself well equipped with the protective things like helmet, driving boots, knee pads, gloves, good leather dresses. First take the bike for a ride in ordinary road surfaces, do dot fancy any stunts at the initial stages. Get used to the bike’s gear systems, clutch, brakes, balance, and throttle. Have good practice with these things, as it is essential for good familiarity with the particular bike you are going to ride in the dirt sandy tracks. Once you get used to the bike, the next process is to fancy your stunts. Always start with the wheeling. Wheeling is nothing but pulling the front wheel off the ground and balancing for few seconds. Hold the clutch and lean forward a little. With simultaneous throttle and releasing of the clutch, slowly pull your handle bar off the ground. Then you would have done a wheeling. Try this is in an empty space during the initial stages. Later you can do it in the ordinary roads like the tracks. Practice well, be sure that you don’t pull the wheel more than the height required or else you will loose balance and there is chance of going down with the bike. The next stunt is the moving wheeling, try to lift your front wheel during the motion, be careful and balance properly as this can cause serious damages if it goes wrong. Driving a dirt bike in a sandy track is always many people’s desire, be sure that you ride with full protection. Have a nice ride.